Accross the globe , Universities are increasingly becoming hostile places to basic human rights such as freedom of conscience , freedom of expression , freedom of speech even freedom of thought . Where as once upon a time universities where places of intellectual space where everyone could share different views and ideas , they are now places of safe space where students are shielded from certain views and ideas . In the video below , a group of students at Yale University attack Professor Nicholas Christakis , demanding his resignation after he and his wife sent an email to students stating that ... "if you don’t like a [Halloween] costume someone is wearing, look away, or tell them you are offended. Talk to each other. Free speech and the ability to tolerate offence are the hallmarks of a free and open society ". The message was in response to an email from the school’s Intercultural Affairs Committee that told students to avoid wearing halloween costumes which may be culturally insensitive . Following that incident with the professor , two of the students were given university awards for "enhancing race and/or ethnic relations." . 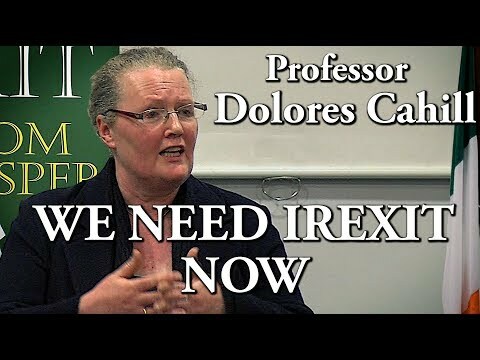 The professor's wife who had sent the email was forced to resign . In recent years , there have been many examples of students trying to shut down Free Speech. Last year in the US , a number of violent incidents occurred . At Claremont McKenna College , protesters shut down a planned speech by conservative commentator and author Heather Mac Donald who later described the incident as an "exercise of brute totalitarian force" . In Vermont Hundreds of students at Middlebury college violently protested a speech by conservative author and columnist Charles Murray , while at the university of Chicago , A group of masked protesters tried to stop Corey Lewandowski, a former Trump campaign manager, from speaking . Back in Ireland , there are more and more examples every day of speakers being prevented from speaking . 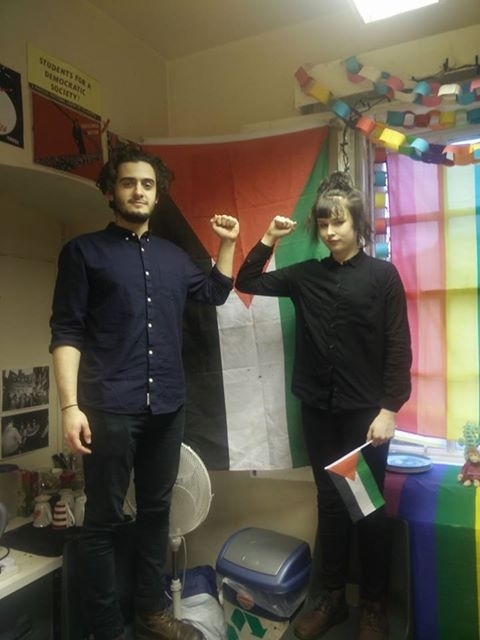 In March 2014 , The Palestine Society at the University of Galway called for a student referendum that would allow the student union to Join the BDS Movement (Boycott, Divestment and Sanctions) an anti israel boycott movement .The Union decided to hold a referendum on the issue. As Part of the debate Professor Alan Johnson of BICOM (Britain Israel Communications and Research Centre) a UK based pro Israel organisation was invited to speak to students . 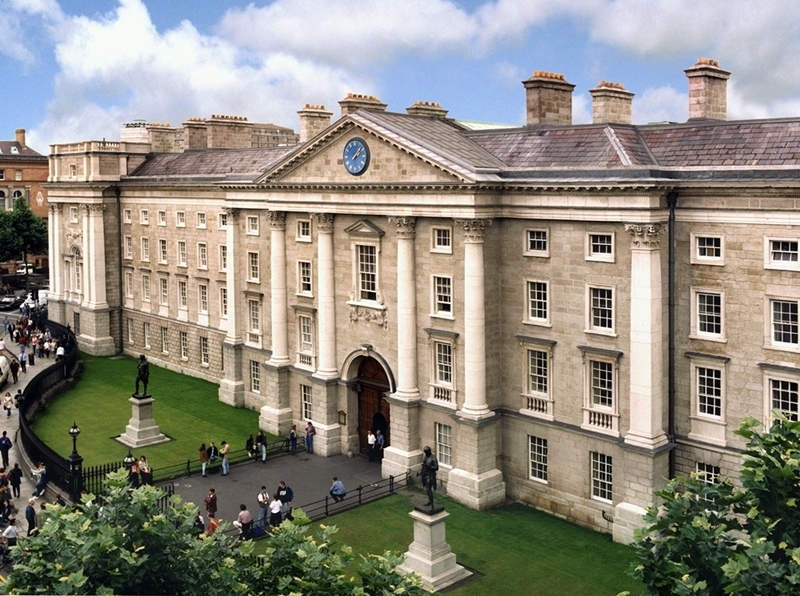 In a more recent Incident at Trinity College Dublin , another BDS group 'students for justice palestine' organised a week long anti israel event which saw them block the Israeli Ambassador to Ireland from making a speech at the college . 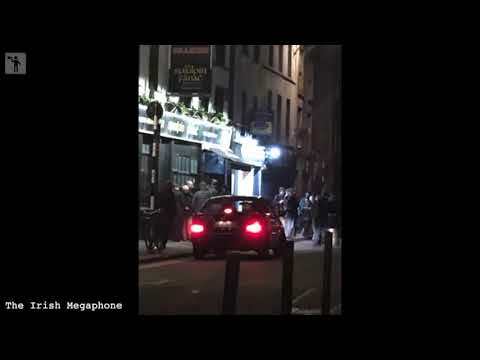 In the video below we see around 40 students in Trinity's art block chanting "we are all palestinians" , whats even more worrying is that numerous lecturers from the Department of Sociology and the School of Ecumenics have lent their support, among them Prof David Landy while Ciaran O’Rourke is confident many more will join. 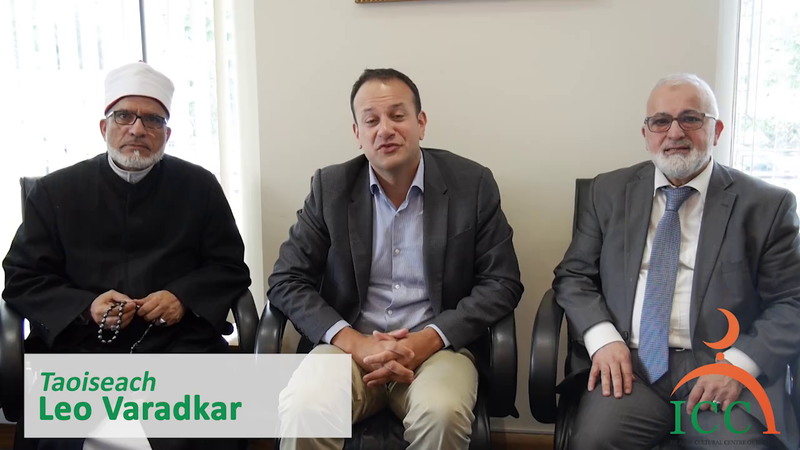 News of the blockade spread quickly and back in Galway University where the visiting professor was told to "f–k off" , some students were very excited that the Israeli Ambassador had been blocked from speaking and took to facebook to celebrate . 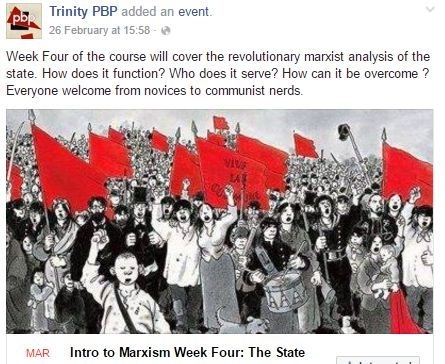 In Ireland , the driving force behind these groups appears to be associated with the ideology of Karl Marx and in particular one political party - people before profit appear to be very influential in the formation of these groups at university level . 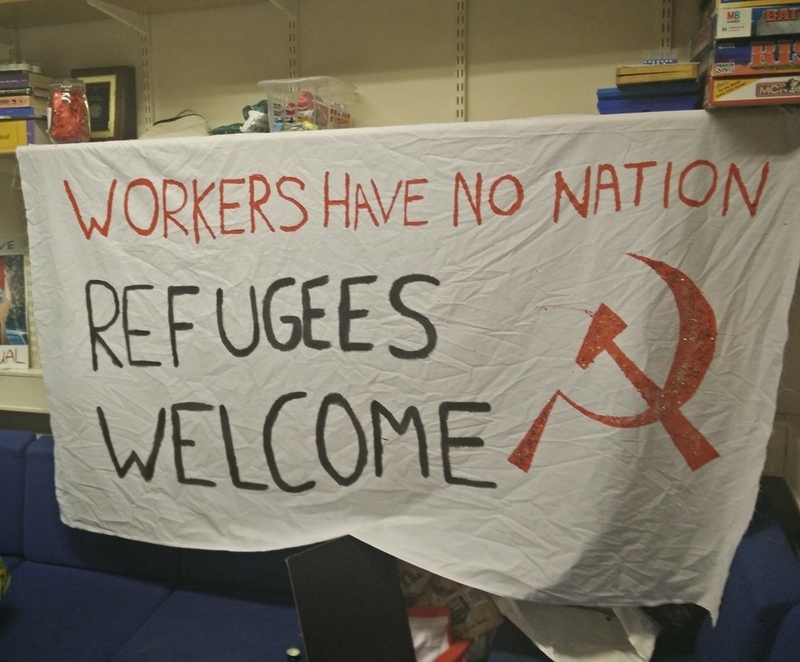 They also appear to have taken over many of the student unions . 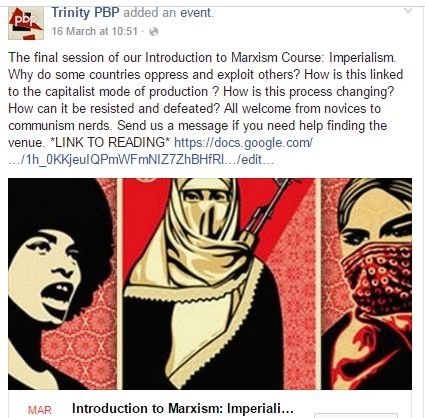 A Brief look at the Trinity People Before Profit page shows communist and palestinian flags , people giving the fingers , adverts for Marxism Training Courses and general hostility towards certain views . Here are some pictures taken from Trinity PBP facebook page . that video of Yale Students attacking the Professor is disgusting . Of Course , Yale is the home of Cultural Marxism in the USA . 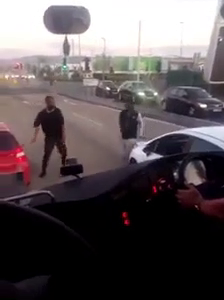 To think that anyone would be rewarded for such behaviour is very worrying indeed . disgusting , those students are bullying that professor and for what , because he expressed a different viewpoint to them . 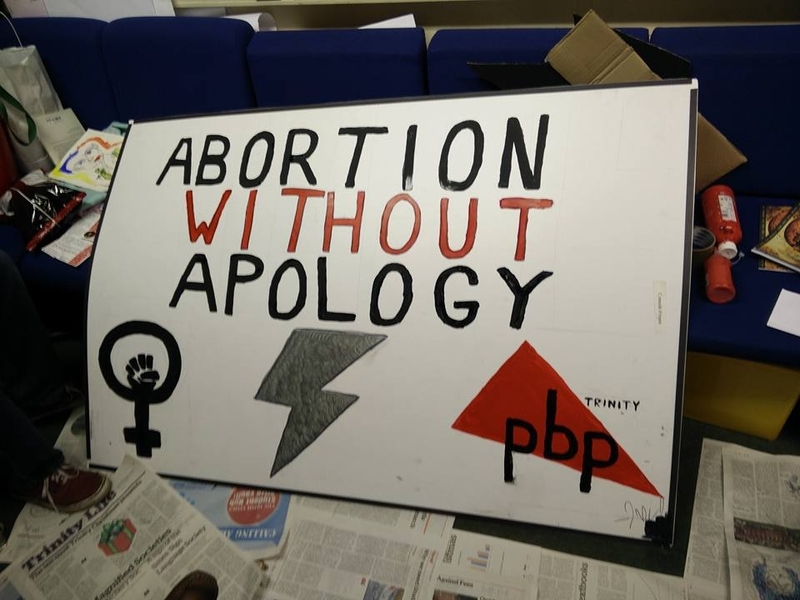 The SU President Katie Ascough is being impeached because she removed a page (on the advice of the Union's Lawyer) advertising abortion services from a book given to new students . 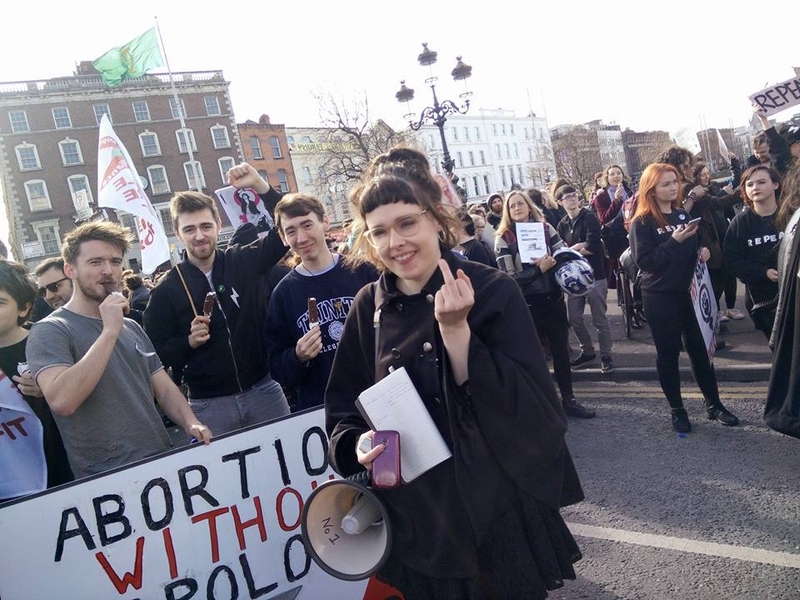 its illegal to advertise abortion and she could have faced criminal convictions and a fine of up to €4,000 if it wasn't removed . why would you go to a galway united football game with a palestinian flag ?? 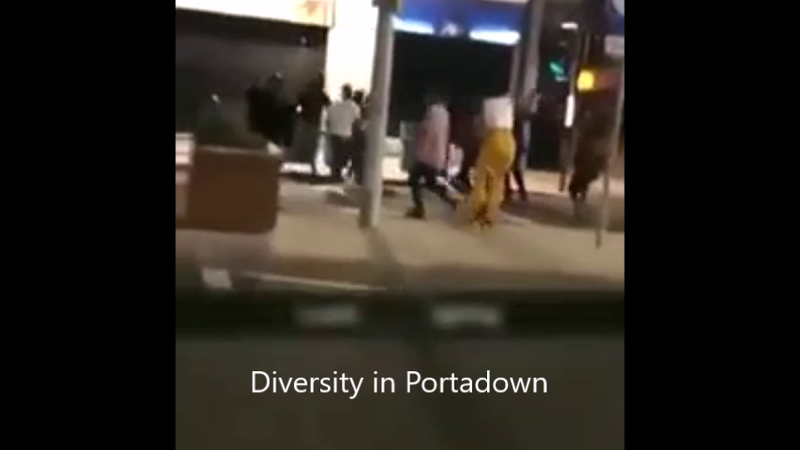 I am very worried by the left , they seem very intolerant of free speech and freedom of expression as is our right under bunreacht na hEireann . I hope students will open their eyes and start to question the motivations behind their unions .